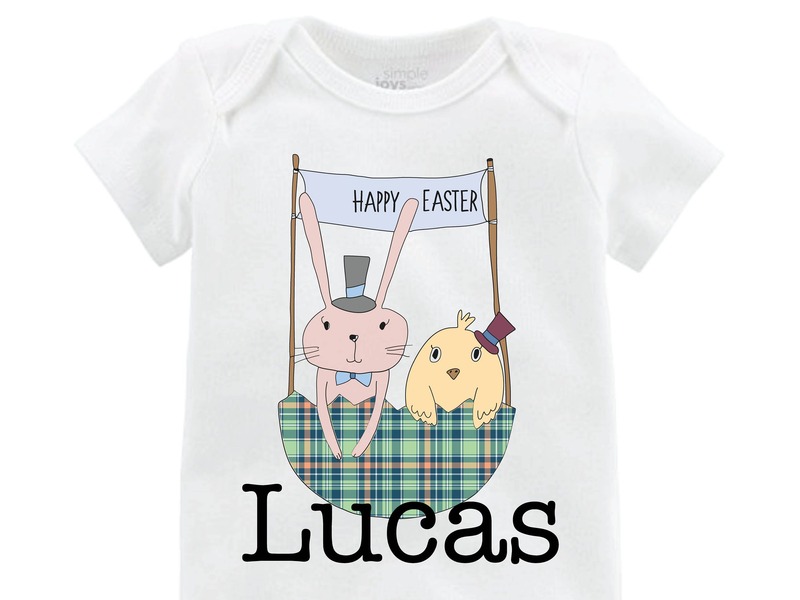 Easter Bunny and Chick Shirt or Bodysuit. Please note the name in the comments of your order. This cute top is designed and printed by us and printed using water-based ink. Choose a red-sleeved raglan (white body), black-sleeved raglan (white body), long sleeve t-shirt, short sleeve t-shirt or bodysuit (long sleeves or short sleeve with snap crotch -Carter's or American Apparel. Gerber available upon request).